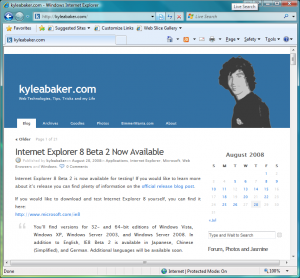 Internet Explorer 8 Beta 2 is now available for testing! If you would like to learn more about it’s release you can find plenty of information on the official release blog post. Enjoy the early notification so you can be one of the first to test out Internet Explorer 8 Beta 2! 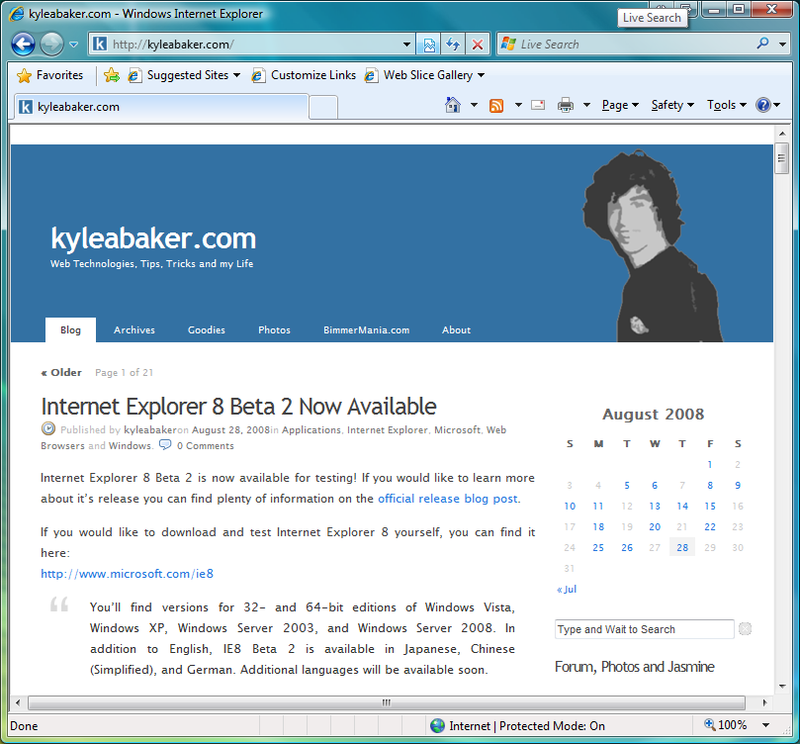 Internet Explorer 8 Beta 2 passes the Acid2 Test! Reports were made back in late December 2007 that internal builds of Internet Explorer were passing the Acid2 Test, but now we have a public release that is passing. After running the “MSXML 3.0 SP10” add-on, Internet Explorer 8 Beta 2 still only scores a 21/100.